If you want to lose a few pounds then you will choose a diet that suits you and let makes sure that you are getting enough nutrients and vitamins. Never adopt that diet which claim to lose weight very fast, it must have lots of side effects. Before deciding on your diet plan you must know different kinds of diets. Following are the different types of diet you can do. The theory behind the book “Dr Atkins New Diet Revolution” is that your body uses both carbohydrates and fat as an energy source so if you cut down on curbs, you will burn off fat and lose weight. In this diet you will allow to eat lots of proteins and fats, like chicken, cheese, eggs etc. So many Atkins fans say that they never feel hungry or bore with limited selection of food to eat. If you are vegetarian then it’s impossible to follow this diet. Cutting down on rice, pasta, potatoes and bread is hard if you are eating out. The American Heart Association believes that high protein, high fat diets could prevent you from getting some important nutrients. It also increases your risk of coronary heart disease and causing fatigue. There is no scientific evidence to support this kind of diet, but the book has sold over 10 million copies worldwide. In these types of diets, you are suggested that you eat one type of food as much as you like or at some particular time. Cabbage soup diet and grapefruit diet comes under this section. Calorie intakes are low, so you will lose weight but you will not necessarily keep it off. You have to love cabbages or grapefruits. Single food diets often require you to drink lots of caffeine, which is not good for your health. Many people who follow this diet ends up feeling weak and dizzy because they are not getting enough energy. These diets are too restrictive. There is no evidence that grapefruits have special fat burning qualities, it is low-calorie intake that triggers weight loss. The same goes for the cabbage soup diet. In this diet, it is suggested not to eat the carbohydrates and proteins at the same meal, because your body can’t digest them properly together and in a result, you gain the weight. In this diet, you have to eat whole grain foods, fruits, and vegetables which is good for your health and body in any case. Almost all the food contains proteins and carbohydrates, so it is impossible to separate the two. There is no scientific evidence that mixing these nutrients causes weight gain in the first place. You end up in missing out the important nutrients by limiting what you eat at each meal. It is not at all good for your health. These diets can result in weight loss but that is because they limit calories, not because they separate proteins from carbohydrates. Dr. Peter Adamo’s book “Eat right for your type” is based on the premise that different types have different internal chemistries, so you should eat certain foods to lose weight. It’s very specific. You have to stick to food lists, so it’s good if you like to follow the rules. The science behind the diet is a little dubious. It’s tough to follow. You might lose interest after some days. You could be eliminating foods that give you much-needed nutrients. 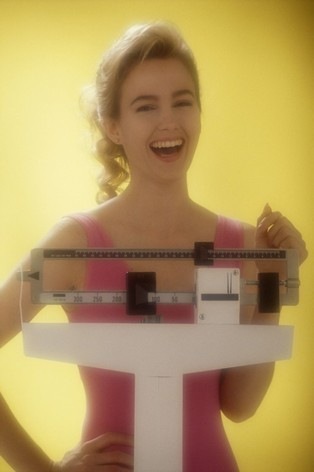 It restricts calorie intake, so you should lose weight, but will you able to stick to it. Dr. Barry Sears Ph.D. suggests that eating fewer carbohydrates and more fats and proteins help you to balance hormones and lose weight, provided you follow a strict plan that divides every meal into 40% carbohydrates, 30% protein and 30% fats. It is calorie controlled so if you stick to it, you should lose weight. The science behind this diet is complicated. It’s not easy to divide every meal into 40/30/30. The British Nutrition Foundation recommends an intake of 50% carbohydrates, 35% fat and 15% proteins, which make this diet unhealthy. Madonna and Caprice loved it, but were not they already skinny?